I've been fascinated with engines since as far back as I can remember. I find myself captivated by the sound of a Rolls Royce Merlin or an Offy, both of which I was introduced to at an early age. The castings, forgings and milled components inside of an engine are some of the most beautiful jewelry I've ever seen, all of it mystical. "How did someone know to make it that way," I'd always ask. I took my first lawn mover engine apart when I was about 10. I cleaned it up, lapped the valves and put it back together. It ran like new! For a few years, I kept our backyard cluttered with old lawn mowers that our neighbors had thrown out. When I was a Junior in high-school, I began working as a Honda motorcycle mechanic at a local shop. I worked there part- and full-time for six years, right through college. I absolutely loved the engines in those motorcycles. They were all so beautifully designed and built, the work of artists. My favorite engine was the six-cylinder CBX, an absolute jewel of an engine, designed by Soichiro Irimajiri (a brother Aero Engineer) and his team. It's pictured in the masthead at the top of this page. I always wanted to build my own engine and experiment to see what made it work better or worse. I wanted to understand all of the physics and dynamics that went on inside. At the speeds that engines operate, I couldn't fathom how everything that is supposed to happen could happen. And I wanted to understand other mysteries, like how intake and exhaust tuning worked; how the size of the cylinder bore and stroke affected the power curve; how valve size, lift, timing and duration affected the power curve; how the internal aerodynamics worked and why engines are so inefficient. But with no milling equipment at home, there was no chance of that. After college, my fascination continued, but so did the dearth of machine tools. And so, in 2002 I began the development of an engine simulation. I figured that, if I can't have a Merlin of my own to play with, perhaps I can simulate one and get my satisfaction that way. And with a simulation, I could get answers to all of the other questions I had. I could also use the simulation as an engineering tool, to design new engines and components, to improve or design intake and exhaust systems and to optimize cam timing and geometry for specific applications. When roadblocks appeared during development, I worked past them by talking with CFD experts on various subjects, attending conferences and doing lots and lots of research. In the process I learned more about CFD and math. And because of how rapidly and dependably I can write software, I think I may have more experience working with CFD models than nearly anyone else. In the process of creating the engine simulation I've literally written dozens of individual, free-standing CFD simulations, each used to examine a particular flow issue before being integrated into the overall engine simulation. 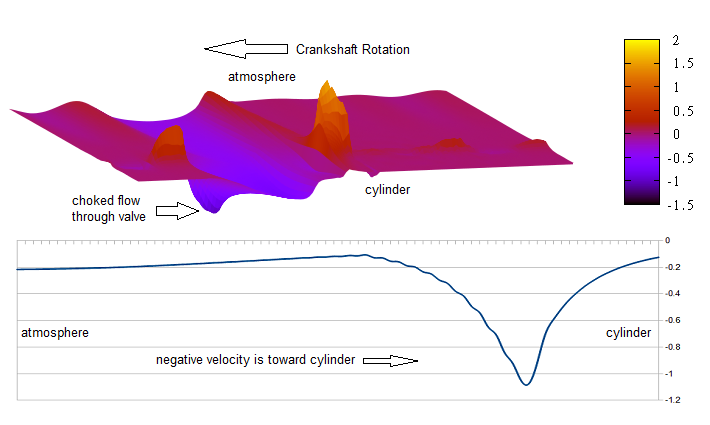 The line plot below the surface plot shows the velocity profile along the intake tract at that same moment in the crankshaft rotation. You can see that the flow has gone supersonic (a mach number of about -1.1) toward the cylinder. 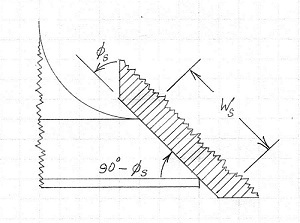 When the flow reaches Mach 1 through an enclosed space, like the gap between the valve and its seat, the mass flow rate reaches its maximum. It can't go any higher. We call this condition "choking", and this is how throttles and the valves on a sink work. With the flow through the valve choked, the mass flow rate through the intake is capped, limiting how much air/fuel mixture can enter the cylinder. 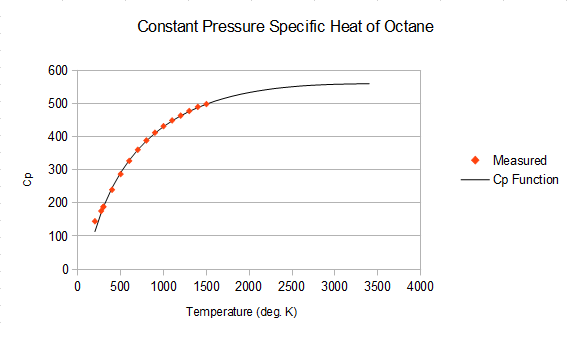 As the RPM increases from this point, the valve will be open over a shorter and shorter period of time. And with the mass flow rate capped, that means that less and less mixture can flow into the cylinder. 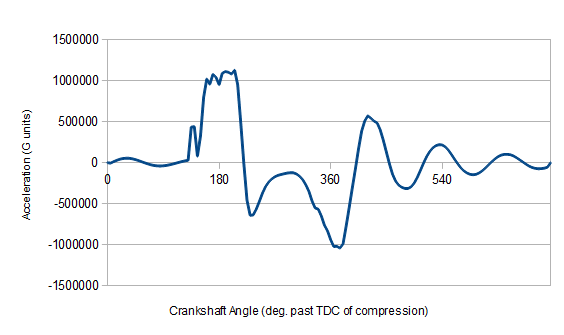 The result means that torque and power both drop off with increasing RPM. 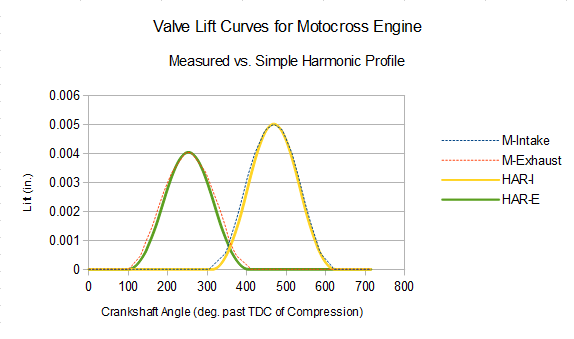 The only way for this engine to make more power is to increase the valve area, by using a larger diameter intake valve or by using two intake valves. I designed the simulation so that it could model an engine of any configuration--inline, v, radial or any other, so long as it has pistons in cylinders. I also designed it so that the intake and exhaust systems could be specified simply, without the need for a CAD system. And last, I designed it so that it could generate a four-cylinder engine's power curve in two or so hours on a desktop PC. All of those constraints limited the detail of the physics that are modeled, and so I had to work carefully to model the dominant physics while neglecting the non-dominant. 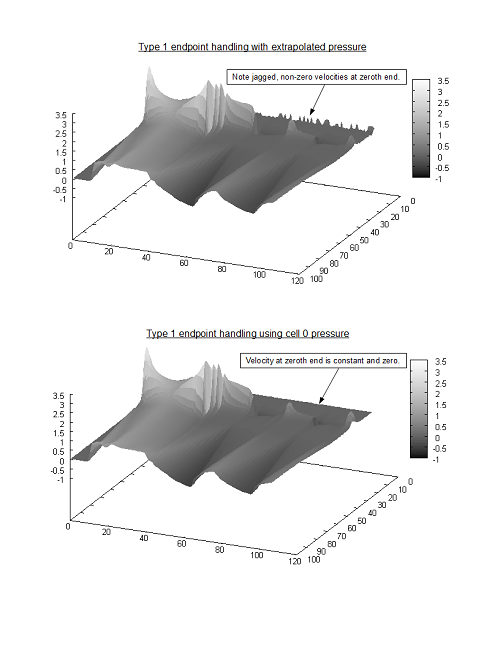 Here is a white paper that I wrote on the engine simulation. It shows the system in action, being used to analyze an engine and then modify the engine for another use. Around the same time that I finished developing the system, I was talking with the engineering director of a Formula 1 team. He asked me to write up this short description of the system, so that his engineers could compare it to the system that they were using at the time.